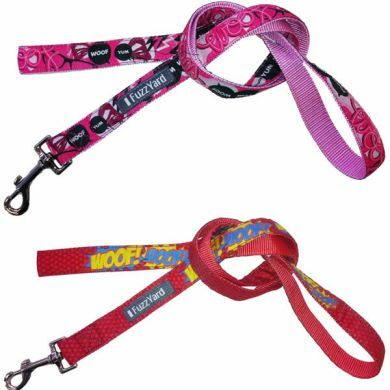 Check out these great Fuzzyard Pop Art dog lead styles. 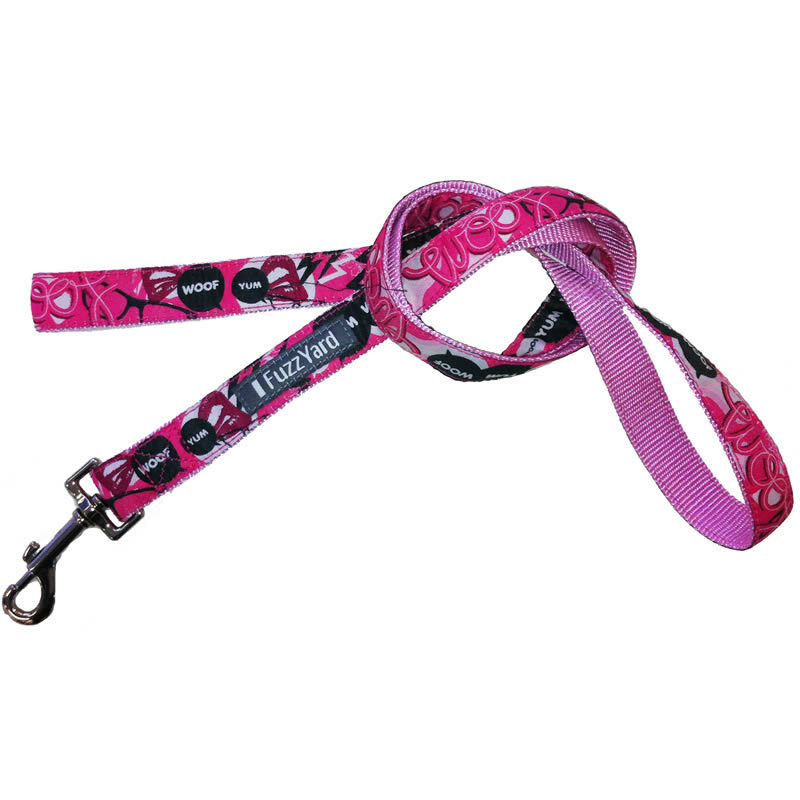 The Fuzzyard Loudmouth Dog Lead has a very energetic pink and black style. The Fuzzyard Woof Dog Lead is on a bright red base with cool comic style 'Woofs'. FuzzYard Leads are 140cm long and constructed from robust nylon and polyester webbing. 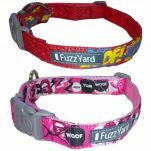 Match them with the FuzzYard Pop Art Dog Collars.